When aliens misinterpret video-feeds of classic arcade games as a declaration of war against them, they attack the Earth, using the games as models for their various assaults. President Will Cooper (Kevin James) has to call on his childhood best friend, ’80s video game champion Sam Brenner (Sandler), now a home theater installer, to lead a team of old-school arcaders (Josh Gad, Peter Dinklage) to defeat the aliens and save the planet. In Pixels, Denis Akiyama plays a fictionalized version of Pac-Man creator Toru Iwatani, but the real Iwatani also appears in the movie, playing an arcade repair man. He could not play himself as he does not speak English. Lamonsoff is a recurring surname in Adam Sandler films that are released under his Happy Madison production label. It's a tribute to his college roommate, who often makes cameo appearances inn his films. The video game high scores featured in Pixels are based off of real-life high scores. 3,333,360 is the highest achievable score in Pac-Man, and the Donkey Kong record is 1,068,100. Promotional posters show Pac-Man eating the Golden Gate Bridge, but San Francisco is not mentioned in the film--it was shot in Toronto. 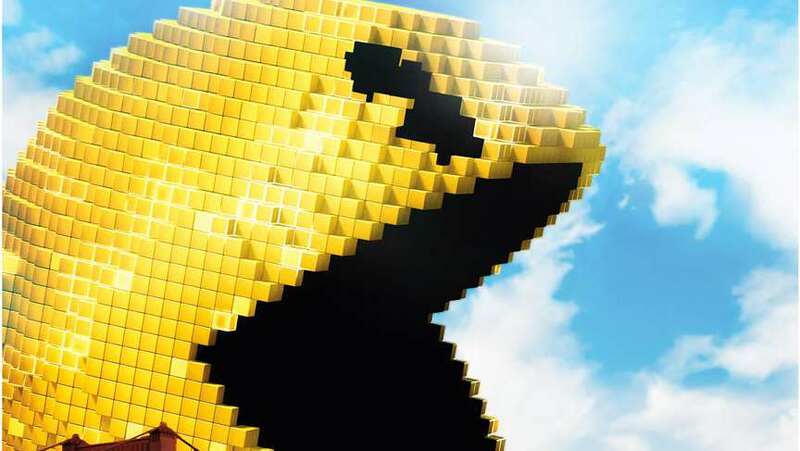 Pixels is an interesting concept and a movie which appeals to those of us who grew up playing the games featured, such as Donkey Kong and Pac-Man. Alien life forms on other planets have decided that video feeds sent into space of classic arcade games, are actually a threat of war, and they decide to turn the video game characters evil, and return them back to earth to cause havoc. Video game champion Sam (Adam Sandler) is called upon to rid the city of these characters by essentially playing larger than life versions of the arcade games that brought the characters to life. 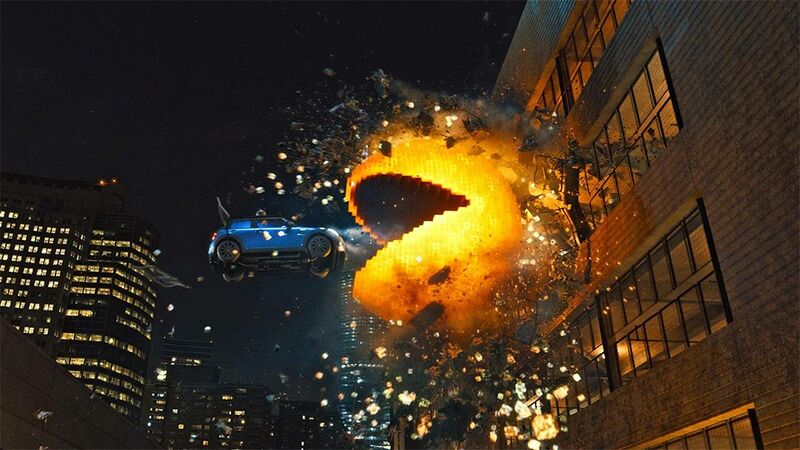 Pixels absolutely bombed with critics, who were totally scathing about the plot, performances and direction of the film, but looking at the trailer, I find it hard to think it can really be that terrible. Certainly Sandler is not renowned for delivering anything decent in recent years, so there is that counting against it, but I like the concept and I thought the trailer looked fun. Sandler has a huge fanbase, so it's not a surprise that Pixels has done fairly well in theaters, but I wonder if the critics response to this film is simply because it comes from Sandler and it's now reached the point where they won't like anything with his name attached. Either way, to me, this looks like quite a fun film with a lot of video game nostalgia, and who can really fail to enjoy that?